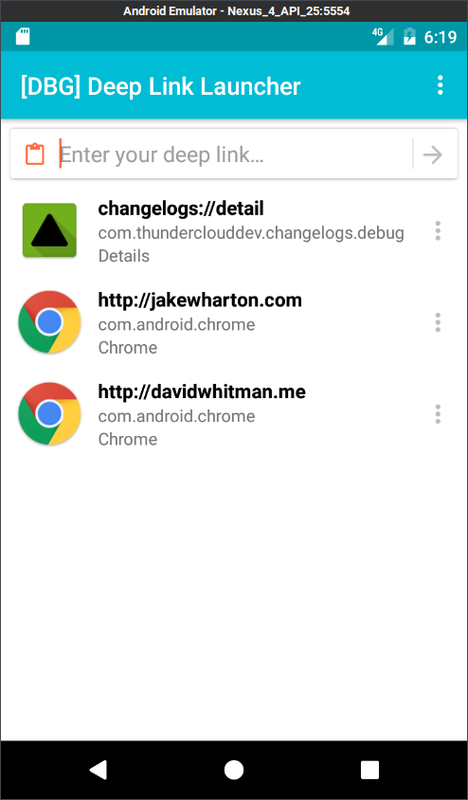 - A small Android app to launch deep links. - Forked from an existing project, rewritten in Kotlin, and then expanded upon with a UI overhaul, additional features, UX improvements, and code restructuring. - View the latest changelogs for your installed applications in a list instead of clicking, app by app, through the Play Store.